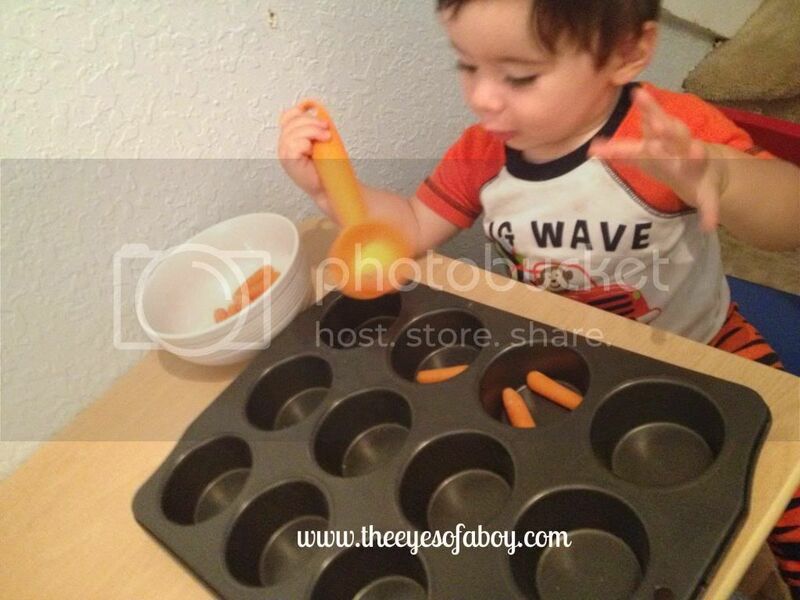 Little J used an orange scoop to sort carrots into a muffin tray. He thought this was a decent activity…but he did want to eat the carrots, which has been a recurrent theme around here. I was hoping he was out of the “I want to put all of the things in my mouth” stage, but no such luck…at least carrots are edible, which I can’t say about everything he has been tasting lately. On a particularly hectic afternoon, while it was raining out and Little J was getting a little bit bored, I was trying to be resourceful in finding things for him to do. I took some gnocchi and dyed it orange with food coloring, then baked it for a few minutes in the oven to set the color. 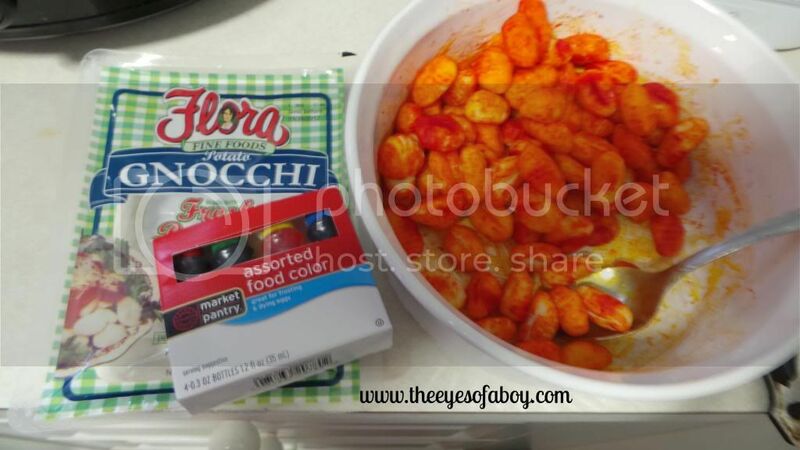 I searched the cabinets quickly to come up with an activity to do with the gnocchi. 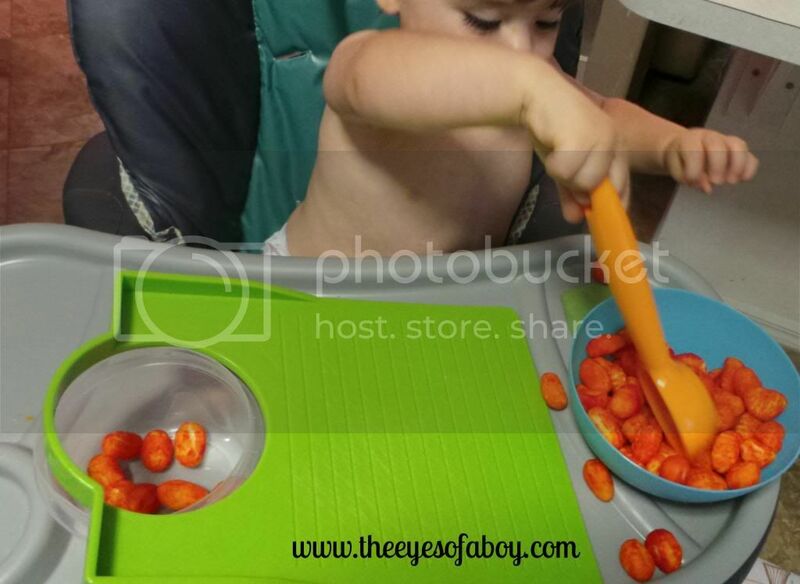 I found a little cutting board from our Baby Brezza and put a tupperware under the opening and let Little J roll the gnocchi up and down the ramp that was created. Little J ended up really liking this activity. He thought it was funny to transfer the orange gnocchi from one container to another container, over and over. He also tried to eat the gnocchi, but wasn’t very pleased with the taste. 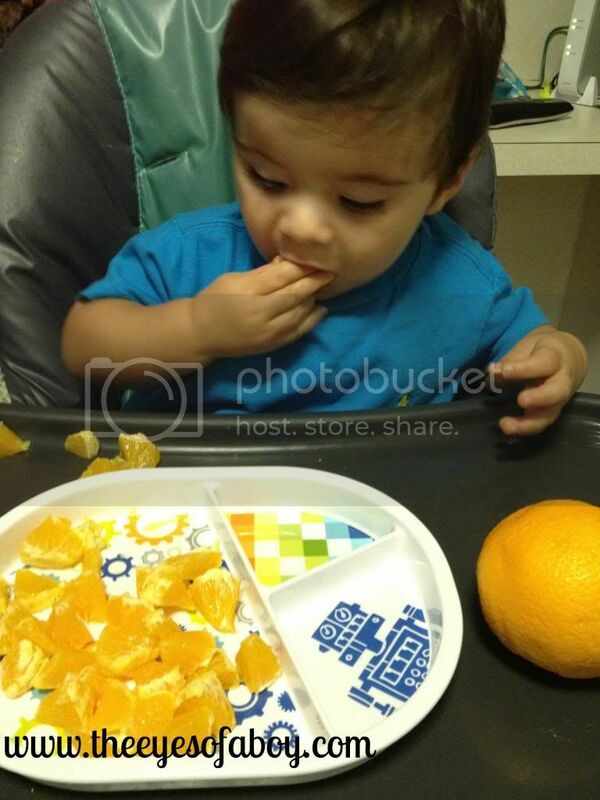 For some reason, this next orange activity was Little J’s favorite. I found a bunch of orange straws in a kitchen drawer, and an orange puffs container. 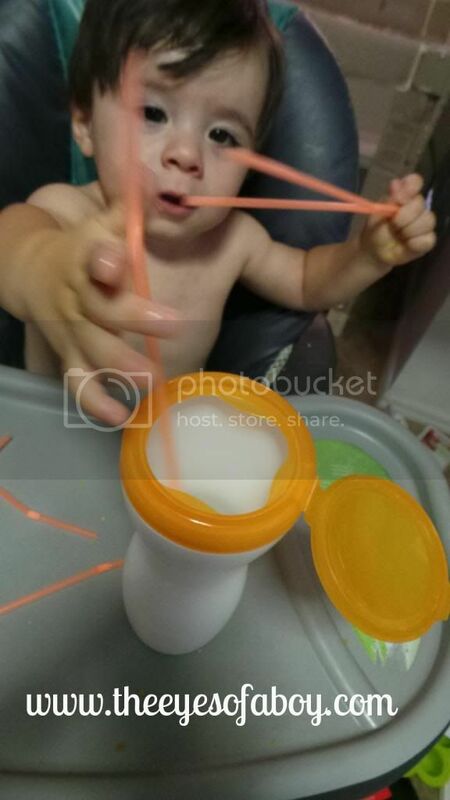 He thought it was awesome to put the straws in the puffs container, then close the lid and shake the container to make a cool noise. 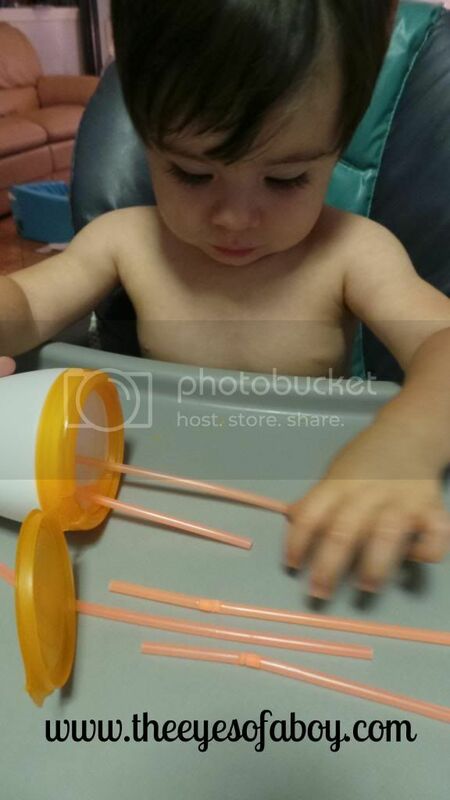 Then, he would take the straws out and start over again. 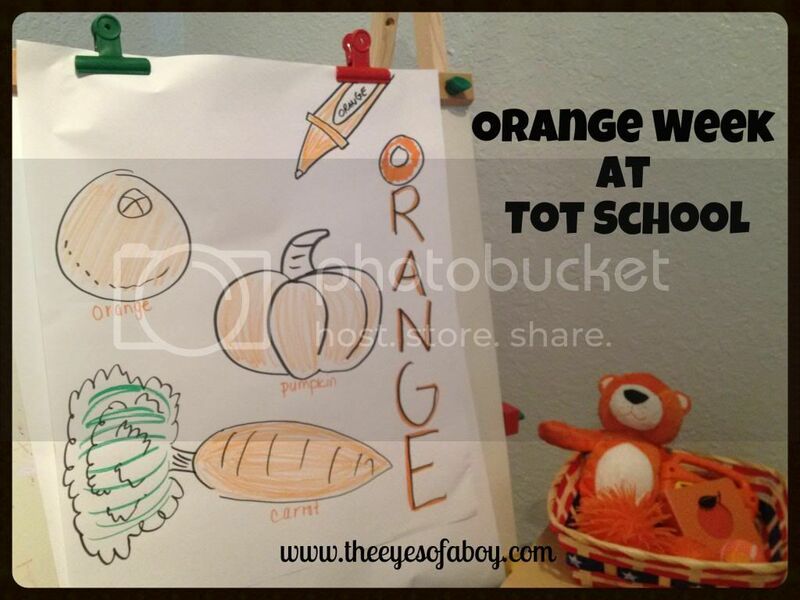 We also did some orange do-a-dot art on a pumpkin. 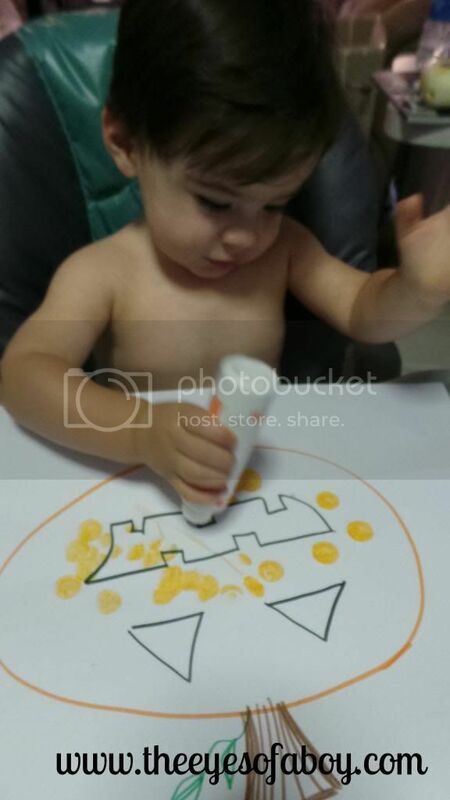 Not surprisingly, Little J also wanted to taste-test the dot maker, but overall he did well with the marker. Fun! I love the gnocchi activity. Mmm, gnocchi.